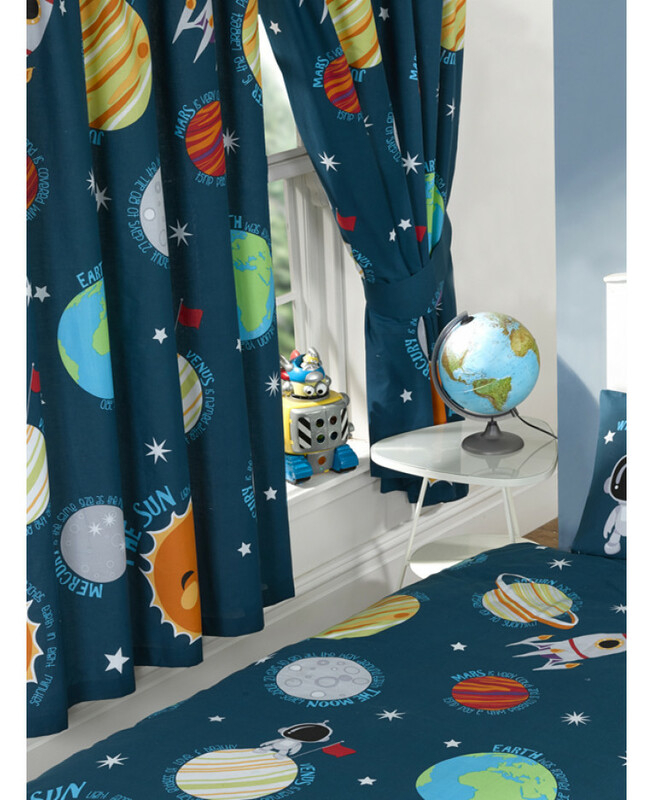 These cool Solar System Curtains feature all the planets in the solar system with a fun fact surrounding each planet. The design also features an astronaut and his rocket, all set upon a dark blue star themed background. The curtains are fully lined and come complete with tie backs, they are also suitable for machine washing. 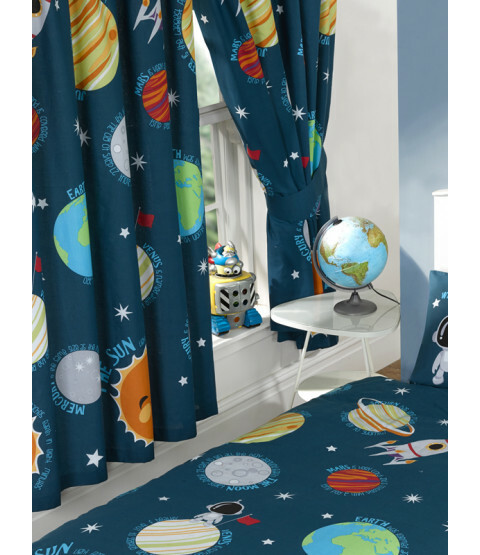 The design matches our exclusive Solar System junior, single and double duvet covers which are also available to purchase from our website.